Contrary to what one might assume, given the isolation of the British Isles from the mainland continent of Europe, England was not isolated from the Continental Reformations. Also, the English Reformation was not simply a program of Royal Supremacy. Instead, the initiation and advance of Reformation ideas and convictions in England did not begin with, nor completely depend upon, royal actions. Instead, the roots and groundwork were already in existence in England for the fostering of Reformation ideals and principles. Possibly as a result of Lollard influence, there was an anticlerical flavour to the religious situation of England when the Reformation principles of the continent made their way across the channel. The clergy were already being accused of both economic and sexual aggrandizement. In 1532, Hugh Latimer gained notoriety for preaching against veneration, adornment and lighting of images, the invocation of saints, and the doctrine of purgatory. In response, the prior of the Dominicans in Bristol was mobilized against Latimer, but he discovered that Latimer was more against the abuse of things than the things themselves. If these instances of existing Reformation principles are at all indicative for the whole of the country, then England presented fertile ground for the planting of Lutheran seeds. This being the case, the writings of Martin Luther were still officially anathematised on 12 May 1521 and Cardinal Wolsey led a burning of his books in London. Ironically enough, by this time the first group of English Lutherans were already meeting at the White Horse Inn in Cambridge. An ‘indirect’ Lutheran influence upon the prayer life of the English people proved to be an appointee of Thomas Cromwell, William Marshall. In 1534 He issued an English “Primer” which was heavily dependent upon the works of Luther, omitting the Litany of the Saints and the Dirge, containing no other prayers to the dead and an attack on the legends of the saints. In the same vein as Latimer, Marshall would reissue the “Primer” within a year, claiming that he did not think that the Virgin Mary and the saints shouldn’t be prayed to, but instead he was wary of abuses of such things. Accordingly, he restored the Litany and the Dirge. This same principle was also to be discovered in September 1535, in a book that encouraged the taking away of images. This was a translation of Martin Bucer’s “Das Einigerlei Bild”, which was a key Reformation text in Strasbourg. And yet, once again, the tract did not encourage the abolishing of images, but in typical Lutheran fashion, it allowed that images were appropriate as long as they were not worshipped. Another major Lutheran influence upon the Church of England was the English-Lutheran Robert Barnes. In 1528, during a period of persecution under Henry VIII, Barnes fled to Germany for safe haven. While there, Barnes published a book of Lutheran theology in English, which made its way across the channel and into English hands. According to Carter Lindberg, it is telling for the climate of the English Church at the time, that Thomas More (a staunch Catholic and traditionalist) found not the doctrine of justification by faith alone to be most objectionable in Barnes’ book, rather the article that challenged the authority of the pope caused More the greatest consternation. At the Convocation of Parliament in 1536, Latimer was chosen to give the opening sermon which amounted to a litany of ‘Catholic’ offences. On the fourth sitting day the conservatives lodged their objections and just over a fortnight later Convocation agreed to a set of Articles aimed to put an end to diversity of opinion over doctrine and practice. These Ten Articles were the first official doctrinal formulation of the Church of England. They are significant for affirming only three of the traditional seven sacraments (baptism, penance and the Eucharist) and for a formulation of the doctrine of justification by faith, but also for allowing the veneration of images, the cult of the saints and intercessions for the dead. In 1537, the Bishops’ Book was compiled under pressure to authoritatively explain the teaching of The Ten Articles for preaching and catechising. Behind the drafting of this document fierce battles raged between radical and traditionalist bishops. In some ways The Bishops’ Book proved to be less open to reforming interests than The Ten Articles, speaking of seven instead of three sacraments and reaffirming traditional teaching on purgatory and prayers for the dead, but on the other hand it was more radical then The Ten Articles with regards to images, forbidding any bowing down to or worshipping of them. It has been suggested that statements in both The Ten Articles and The Bishops’ Book portray the influence of Cranmer and his desire to include some “Lutheran tonic” to the traditional distillation. Cranmer did much to model Henrician formularies of faith on the German confessions and articles, including most importantly The Augsburg Confession and The Wittenberg Articles. Probably the most significant Lutheran influence upon the development of Reformation doctrine in the Church of England came as a result of Henry’s excommunication by the pope in 1538. This action forced Henry’s hand politically, already at odds with both France and Spain, to engage in serious discussions with the German princes of the Schmalkaldic League. In order officially to join the League, the princes (mostly Lutheran), required authorial subscription to The Augsburg Confession. This proved to be too high a price for Henry. It has been said that he might have been willing to sign the confession on condition of his first being admitted into the League. While no ‘official’ unity was reached between England and the German princes, the actual process of discussion and The Augsburg Confession proved to be highly influential on the development of The Thirteen Articles (1538), and the later Forty-Two Articles (1553) and Thirty-Nine Articles (1571). Eventually the foreign threats of the French and Spanish died down and, as the negotiations with the Schmalkaldic drug on, Henry decided that it was time to focus on religious uniformity within his own borders. In an effort to stamp out non-conformity he issued the Act of The Six Articles, which took steps towards reaffirming Roman Catholic dogma. As a result of this move–the ceasing of officials talks with the Lutherans–English Lutherans like Barnes become dispensable and he was consequently burnt at the stake with two other English Lutherans. During this same period, another voice of Reformation principles was making itself heard through the printing press. Along with his biblical translations, William Tyndale also made available to England the works of Luther, most notably his prefaces to biblical books. Since Luther was still anathematised in England, Tyndale published his prefaces without using Luther’s name. Ironically, Thomas More never realized the ruse and Luther’s prefaces were even included in the royally approved Matthew’s Bible. As we move to the reign of Edward VI we find that the official persecution of Protestants ceased. Under the guidance of the King’s uncle and Regent, Edward Seymour, Protestant moves were made such as repealing most of the treason and heresy laws, including The Six Articles. It was also during this time that Bucer, recently exiled from Strasbourg for his refusal to be part of the Augsburg Interim (1548), arrived in England at the behest of Archbishop Cranmer and was appointed Regis Professor at Cambridge in 1549. Bucer exerted his theological leanings–notably a way between the Lutherans and Zwinglians–on the Book of Common Prayer. We now arrive at the reign of Elizabeth I (skipping over the reign of Mary due to the fact that no significant doctrinal statements were formulated or issued during her time in which neither The Augsburg Confession or the Lutherans had any (at least positive) influence). During her reign, Elizabeth stressed both theological and confessional unity in her dealings with the German princes. She is even said to have stated her acceptance The Augsburg Confession, although she never signed it herself. Elizabeth’s main goal was moderation: a pursuit which she hoped would give England a certain amount of stability after the tumultuous and contradictory reigns of Edward and Mary. She strove to hold both Catholics and Protestants in check by fostering an “Anglican” settlement in both doctrine and practice. Lindberg makes the claim that under Elizabeth such things as Catholic vestments and liturgy were allowed in order to speak to the illiterate in an Anglican style of worship, while the literate Protestant group were able to hear Reformation principles in both sermons and prayers, all set within the framework of a Reformed theology motivated by The Thirty-Nine Articles. Significantly, in 1559 Parliament passed the ‘Act of Supremacy’ which recognized the monarch as head of the English of Church. Wisely and perceptively, discerning the tension caused by the title of “Head”, Elizabeth took the title “Supreme Governor” instead of “Supreme Head”. Four years later, at the second Parliament of 1563, the Act of Uniformity was reaffirmed and measures were passed to ensure its enforcement. It was at this time that The Forty-Two Articles were revised into The Thirty-Nine Articles. 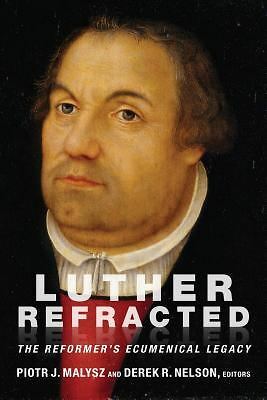 “The Articles were designed to accommodate the major evangelical theologies by denying transubstantiation on the one hand, while remaining open to the range of Lutheran and Calvinist interpretations.” Under Elizabeth, the official liturgy and confession remained moderate. The aim of the endorsed liturgy and confession was to express reformed theology without alienating Catholics and traditionalists. Still, it can be discerned that both the Elizabethan liturgy and confession issue from a ‘third way’ associated with the likes of Bucer and Melanchthon. Carter Lindberg, The European Reformations, (Oxford: Blackwell Publishers Ltd, 1996), 309. Eamon Duffy, The Stripping of the Altars, (New Haven & London: Yale University Press, 1992), 379-81. Peter Newman Brooks, Cranmer in Context, (Cambridge: Lutterworth Press, 1989), 27; Diarmaid MacCulloch, Thomas Cranmer: A Life, (New Haven & London: Yale University Press, 1996), 161. Lindberg, 312; W. Ian P. Hazlett, The Reformation in Britain and Ireland: An Introduction, (London & New York: T & T Clark International, 2003), 41-42.. Yes, Queen Elizabeth I was a loyal Anglican Lutheran both doctrinally and liturgically. The LATIN Thirty-Nine Articles (especially Articles (XI & XII, XVII, XXV, XXVIII & XXIX) and the 1559 Book of Common Prayer prove the Lutheranism of Abp. Parker, Bp. Guest, and Bp. Cheyney, et al.. But the majority of Good Queen Bess’ bishops were Calvinistic in doctrine — if not in polity. Moreover, the final LATIN 39 Articles follow the LATIN Augustana & Johann Brenz’ Wurtemberg Articles — which Abp. Parker, Bp. Guest, and the Queen used in the 1562-71 final draft. Most interesting is that the Authoritative,LATIN of Article XXIX includes the word “efficientur” (i.e., “profitable” — which is not included in the English Article. This makes Anglican doctrine totally Lutheran. Yet, the Queen could not go as far as the Formula/Book of Concord due to opposition from the Calvinists. Hence, the Elizabethan Settlement looked very much like the Episcopal Lutheran Church Orders of Denmark,Sweden, and Norway — which only used the Augustana & Luther’s Catechisms as a doctrinal basis upon God’s Word. One correction: The Church of Sweden subscribed and still subscribes to the Book of Concord (since 1593).